We are currently in the process of updating the software used to install Garritan sample libraries. The updates don’t impact the sounds of the instruments in any way – they only improve the process of placing the software on your computer. The updates address two main issues: Mac compatibility and Finale integration. First and foremost, the new Garritan installers work consistently on the latest Mac operating systems. Earlier installers would work intermittently (or not at all) on recent versions of macOS. As part of the installation process, the new installers will now look to see if Finale has been installed on your computer. If it is, all pertinent Garritan support files will be installed in the correct folders. Upon restarting your computer, your new Garritan sounds will automatically be accessible from within Finale. This Garritan/Finale integration process previously involved several manual steps which were found in the Garritan Knowledge Base. Besides the two issues above, the installers will also install an updated version of the ARIA Player. One highlight of this update is the introduction of a tree view (seen at left in the screenshot above), making it easier to load virtual instrument sounds. Finally, the installers also update the Garritan end user license agreements (which can be very helpful, especially if you struggle with insomnia). What Libraries Have Been Updated? 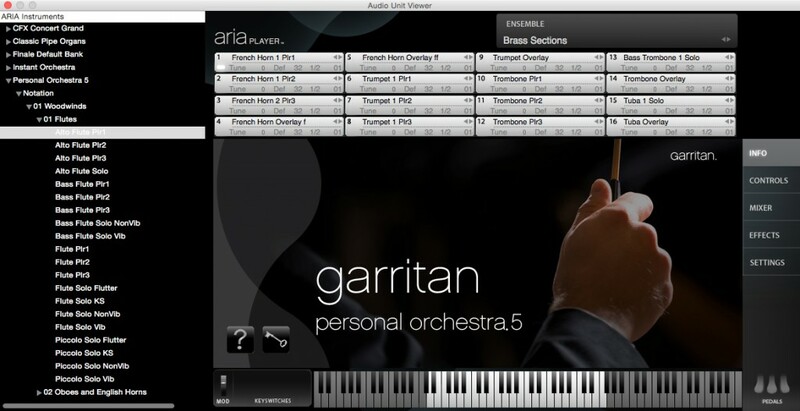 So far we’ve updated Garritan Personal Orchestra 5, Instant Orchestra, and Jazz and Big Band 3. Next up will be World Instruments and Concert and Marching Band 2, with Classic Pipe Organs and Harps after that. If your Garritan libraries are already installed on your computer, and everything is working well, including your integration with Finale (if applicable), then these updates are likely of little interest to you. If you’ve yet to use Finale and Garritan together, or are about to install a Garritan library on a new Mac, this is the good stuff and we’re glad to be able to share it with you. Okay, I Care; What Do I Do? To get the new installers, simply visit garritan.com, click on MY ACCOUNT, and login. This will bring you the My Account page, with the My Software tab selected. From here you can choose to download any Garritan library you’ve purchased. 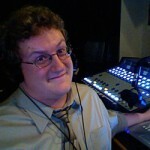 Jon Tschiggfrie’s title is product manager, audio/notation at MakeMusic. As such he helps guide daily development work on products ranging from Garritan libraries to Finale.